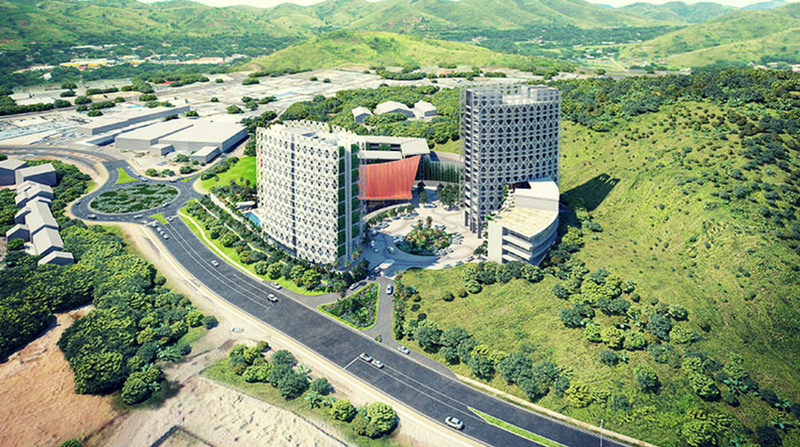 Transparency International PNG (TIPNG) has raised grave concern at the Government's decision to invest K316 million to take up a 20 percent stake in the Star Mountain Plaza project. “This is a substantial amount of public funds being invested into a private commercial venture that may not bring the anticipated returns for the people of PNG,” the organisation says in a statement. TIPNG strongly believes that this investment venture is not in the best financial interests of the people of Papua New Guinea. "Where is there evidence that the hotel will do anything more than benefit the land vendor along with the hotel's builders and managers? Where are the accounts which can inform the people of PNG in whose name these investments are being made and how they are being spent?" asks TIPNG Chairman, Lawrence Stephens. "This investment is a questionable use of public funds at a time when the government is struggling to adequately fund core services such as schools, hospitals and public salaries. “We believe questions should be asked about the broader public value of this investment. The people of PNG have a right to access the basic essential services, and yet as these services continue to deteriorate, the Government has again lavishly thrown money into another hugely expensive project that benefits only a few. And the reasons, they say, is for the APEC conference and to boost PNG's tourism industry. “TIPNG asks if this is true or is PNG seeing a repeat of scandals elsewhere? Why is there a need for the national government to invest in a project that is meant to be a Mineral Resource Development Company (MRDC) investment on behalf of landowners?" expresses Stephens. Lack of government investment in health has placed PNG's infant mortality among the highest in the Pacific Region at approximately 50 per 1000 births. Access to basic health services is shockingly low with approximately one doctor for every 6000 people. Lack of spending on education results in literacy rates of only 65 percent overall, thus one-third of PNG's population, and almost half are women, are unable to read or write. Poor access to education results in high levels of unemployment leading to high levels of crime. A lack of trained professionals increases the need to import labour and increases the cost to business. Decent access roads are needed to help maintain jobs and income earning opportunities, and hence also reduce crime.